While excitement about the Galaxy Note 8 and iPhone 8 is continuing to build, it’s easy to forget that the long-time rivals will be competing against Google’s new flagship devices, too. There have been plenty of previous rumors about Samsung's and Apple's phones, and now, thanks to XDA Developers, we've received some rumored details about the Pixel 2 and the Pixel 2 XL. 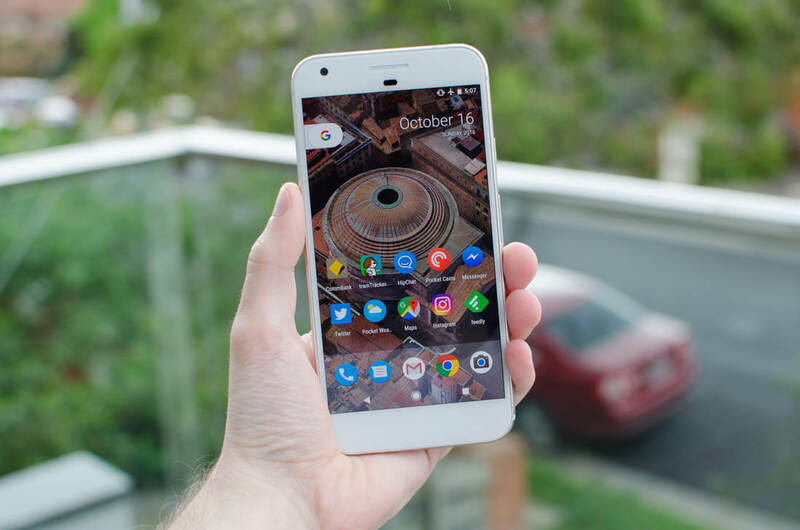 Citing a "source familiar with the matter that spent time with at least one of the phones," the publication claims Google’s smaller handset will measure 4.97 inches, while the larger Pixel 2 XL will feature a 5.99-inch screen. Reports arrived earlier this month that claimed Google had canceled its mid-sized Pixel device, codenamed Muskie, and would instead only be releasing the smaller “walleye” phone and larger “Taimen” handset. It was also rumored that LG would be manufacturing Taimen. However, after what’s thought to be references to the next Pixel handsets were found in the HTC U11’s system files, it seems the manufacturer of the original Pixels could still be involved with the successors. XDA Developers’ source says the Pixel 2 XL’s 5.99-inch screen will be a 1440p OLED display provided by LG, which, given April’s news that Google had offered to invest $880 million in LG Display to secure the OLEDs, makes sense. Like most modern flagships, the Pixel 2 XL will come with smaller bezels than its predecessor and sport a Snapdragon 835. It’s also said to have 4GB of RAM and 128GB of storage. The two-tone glass/metal finish on the back is expected to remain, though sources say the fingerprint scanner won’t appear in the glass section anymore (no word on where its been moved). It will also have a single camera and dual LED flash. The smaller Pixel 2 will have a design “almost identical” to the original device. It features a 4.97-inch FHD display, keeps the larger bezels, and reportedly foregoes the 3.5mm headphone jack in favor of stereo speakers. Like its bigger brother, Walleye will come with a Snapdragon 835 and 4GB of RAM. There will also be 64GB storage option. As with all rumors, there’s no guarantee this information will turn out to be 100 percent accurate. But it will definitely be an interesting battle between Google, Samsung, and Apple in a few months’ time.